Las Vegas is a city that’s known throughout the world for its bright lights, massive casinos, and unparalleled exuberance. Travelling here is a once in a lifetime experience; it’s simply something you must do before you die. Having said that, a trip to Las Vegas can quickly turn sour if you’re unprepared and don’t know what to expect. So, here are our travel tips and advice for anyone travelling to the entertainment capital of the world. Thankfully, travelling to and from Las Vegas is relatively easy if you live in a major country. There are loads of domestic flights direct to McCarran International Airport, as well as ones from countries all across the globe. The great thing about this airport is that it’s just a stone’s throw away from the main Strip itself. As such, getting from your hotel to the airport – and vice versa – is fairly simple and stress-free. When it comes to airport transfers, your best bet is a taxi service of sorts. You could flag down a local cab, but we think private airport transfer in Las Vegas is a slightly better option. It just allows you to book in advance, and you don’t have to worry about sharing the car with anyone else. Depending on where you stay, the journey will only take a matter of minutes, so you shouldn’t miss your flight. 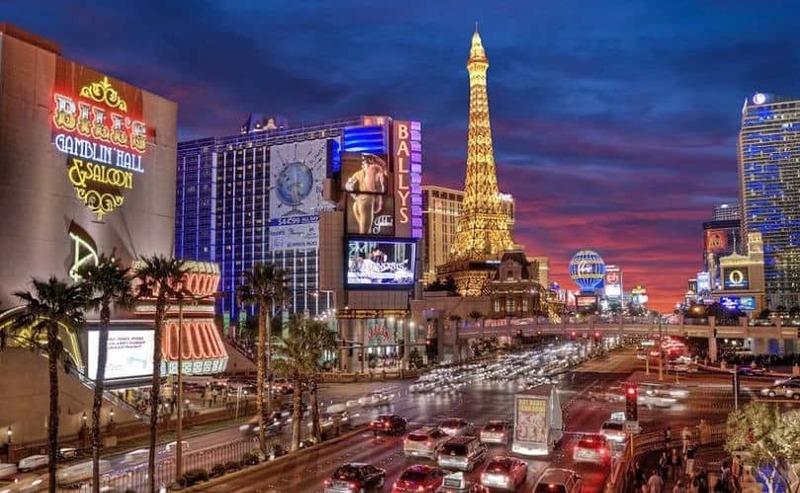 Given that the main attraction of Las Vegas is the strip, it provides you with plenty of different options to get around the city. One of the most convenient is by bus. Las Vegas has a bus called The Deuce which runs 24 hours a day, and pretty much just goes up and down the strip. If you’re keen to see all the sights as quickly as possible, this is your best bet. Alternatively, there is an express bus service that can take you downtown from the Vegas strip in a flash. It goes without saying that there are plenty of hotels for you to stay in during your trip. There are different ones for different budgets, as well as some motels too. To remain on the safe side, we suggest you stick to hotels, preferably chain ones that you can trust. From here, our advice is to set a budget. Decide how much you’re willing to pay, and it will get rid of all the expensive hotels that are just way out of your budget. Then, think about the location of your hotel. We suggest staying close to the south end of the strip, purely because it’s closest to the airport. You can still travel to some of the key areas with ease, but it’s just more comforting to know you haven’t got far to go when it’s time to get on your flight home. Naturally, there are almost too many things to do/see in Las Vegas. The strip alone provides you with everything you can possibly need, and more. Below, we’ve given our top things to do/see, as well as some general tips to help you enjoy your stay. 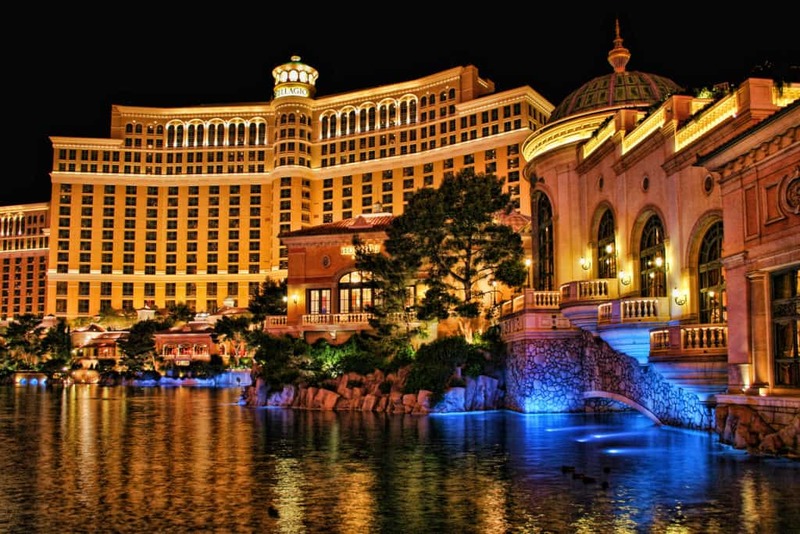 The Bellagio may be slightly out of your budget if you’re looking for somewhere to stay, but you can still pay it a visit. Go there at night where you can see a wonderful fountain display with gorgeous lights. It’s well worth the trip, and make sure you take lots of photos and videos. You simply can’t come here without going to a casino. Even if you’re not a big gambler, it’s well worth poking your head in and having a look around. Bring a bit of money to spend, but remember to be responsible! Here’s a pro tip for you; be wary of free cocktails! Waitresses in the casinos will often give you free drinks to try and keep you there for as long as possible. While this may sound awesome, the chances of you losing lots of money are higher when you’re drunk. Stay sober, at least until you’re out of the casino. Many people are unaware that Las Vegas has some of the best spas in the world. Loads of the hotels have them, and they come with all the works. You even get free snacks at some, and we think it’s the perfect way to spend the day if it’s too hot during the afternoon. Relax while it’s light out, then hit the strip when the sun sets! Feel free to use our tips if you’re going to Las Vegas for a holiday this year. We hope you’ve found them useful, and that they help you get the most out of your stay!